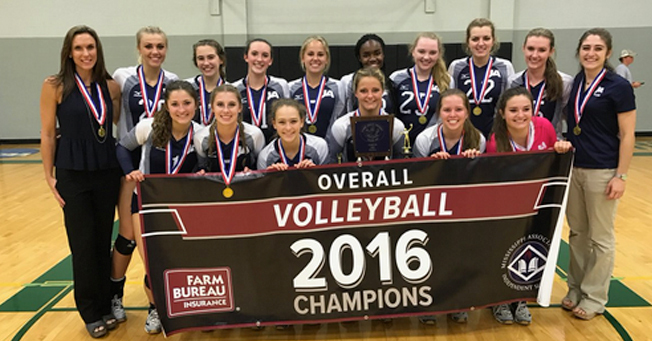 Wednesday at Belhaven University the Lady Raiders successfully defended their state title during an all-day MAIS volleyball tournament. Their teamwork solidified a three-peat title for the volleyball team, and the first JA state title for incoming volleyball coach Christina Lawrence. Assistant coach is Jennifer Bracken. The Lady Raiders completed the season with a 25-8 record. In the state tournament, JA won its quarterfinal match over Hillcrest, its semifinal match over Jackson Prep, and it final match over PCS, not losing a set en route to the state title.